DEAR JERRY: Last year around this time you wrote about Adele's amazing accomplishments, especially with her "21" album. How long did it stay on the charts? DEAR ALISSA: Adele's "21" is not only still on the charts, but, as of this writing (March 11), is perched at No. 10. This blockbuster has been on the charts over two year's worth of weeks (106), and is likely to remain there for many more. According to Billboard, Adele's "21" is the first one to top the global albums chart for two consecutive years, since the International Federation of the Phonographic Industry (IFPI) began reporting global best-sellers in 2001. "21" is also the first album since 1983-'84 ("Thriller") to be the No. 1 seller two years in a row in the U.S.
Adele was Billboard's Artist of the Year for 2011 and 2012, making her the first artist ever to earn both honors in two consecutive years. Oh yeah, she also gave birth to a son, born Oct. 19, 2012. 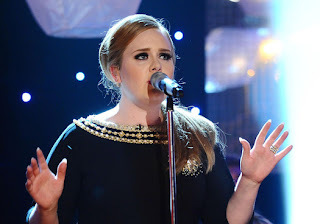 So what has Adele done so far this year? In February, her live version of "Set Fire to the Rain" claimed the GRAMMY for Best Pop Solo Performance, bringing her collection of golden gramophones to 10. Also last month, Adele's recording, co-written with producer Paul Epworth, of the latest James Bond film theme, "Skyfall," won the Golden Globe Award for Best Original Song. "Skyfall" continued its winning ways Feb. 24, earning Adele an Oscar (Best Original Song) at the 85th Academy Awards event. DEAR JERRY: Since they began tracking sales by computer coding, what are the Top 10 selling movie soundtrack albums? —Jill Breckenridge, Crescent City, Calif. Since there is very little difference between these last two, our Top 10 has 11 entries. DEAR JERRY: My favorite instrument is the tenor saxophone, and Mildred Bailey's "Emaline" has some killer sax accompaniment. The rest of the horn section is also excellent, as is Mildred, but who is playing that sax? The record label merely credits Benny Goodman and His Orchestra. DEAR RALPH: Producers of big band and swing recordings often used the two-thirds instrumental, one-third vocal model, with the vocal segment sandwiched in the middle. To handle those vocal interludes, all of the top bands employed one or more singers. But the band was the star of the show, with the vocalist getting second billing. On "Emaline," for example, Mildred's vocal uses just 58 seconds of a 3:24 total running time. Having approximately two-thirds of the session for the instrumentalists to shine, gave selected players some time in the spotlight. The four-song session that included "Emaline" (em-a-line, not em-a-lin), held February 2, 1934 at Columbia's New York studio, included these brass and woodwind all-stars: Coleman Hawkins (tenor sax); Sonny Lee (trombone); Charlie Margolis and Mannie Klein (trumpets); and of course Benny Goodman on clarinet. Keeping the beat for everyone that day was drummer extraordinaire, Gene Krupa. IZ ZAT SO? The exposure gained as a big band's featured vocalist kick-started some hugely successful solo careers. 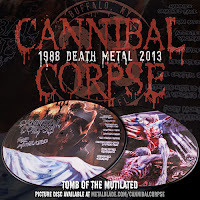 have some breaking vinyl record release news and I am excited as www.MusicOnVinyl.com is about them! Ex The Animals musician & entrepreneur Chas Chandler had brought Hendrix to the UK, teaming him up with drummer Mitch Mitchell and bassist Noel Redding. Recordings for Are You Experienced had begun in late October 1966, producing a string of singles preceding the illustrious first album by the world's most famous guitarist. While recording, the future working relationship between engineer Eddie Kramer and Hendrix was forged. 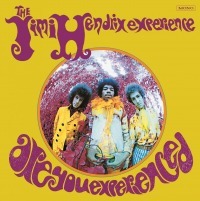 The debut album by The Jimi Hendrix Experience was initially issued in mono and then 'enhanced stereo' on later issues. The UK cover photography was by Bruce Flemming. Releases in Europe had the words "Jimi Hendrix" placed above the title. These later issues were 'enhanced stereo', with tracks listed on the back. The USA & Canadian issues were released after the band appeared at the Monterey Pop Festival in June 1967, along with The Who. Its art was directed by Ed Thrasher, using a Karl Ferris infra-red fish-eye photo. There is a key difference to the tracks on this album, with some removed and replaced by the earlier singles, plus a change to the running order. The spelling "Foxey Lady" appears in some of these issues, and has been adopted for the Music On Vinyl mono reissue. 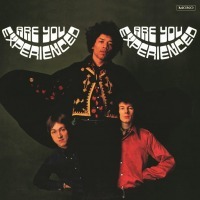 Axis: Bold as Love, the second Experience album, was released merely six months after their debut LP Are You Experienced, at the end of 1967. Many of the album's songs were composed with complex studio recording techniques in mind and as a result were rarely performed live. Only "Spanish Castle Magic" and every-guitar-player's-ultimate-study-material "Little Wing" became staples during concerts. 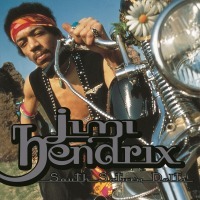 The album shows an incredible growth in Hendrix' songwriting and sonical versatility. 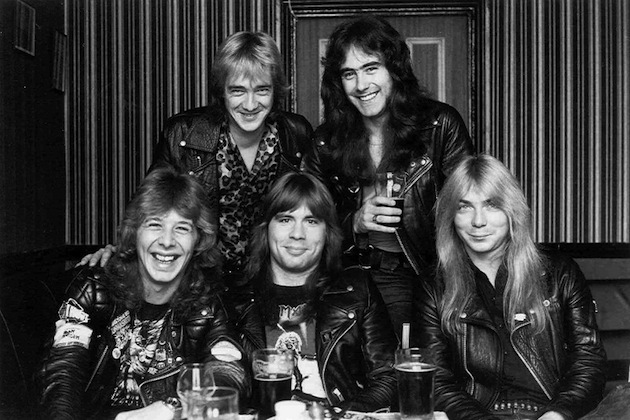 Radio friendly rockers like "Wait Until Tomorrow" and "You Got Me Floatin'" are mixed with ballads such as "Castles Made Of Sand" – the album's variety makes it a delightful listen. Are You Experienced is the debut album by The Jimi Hendrix Experience. Released in 1967, it was the first LP for Track Records. The album highlighted Jimi Hendrix's R&B-based, psychedelic, distortion- and feedback-laden electric guitar playing and launched him as a major new international star immediately. In 2003, Rolling Stone Magazine ranked it #15 on their 500 Greatest Albums of All Time. Incl. 8-page full-colour booklet (12"x 12")! Axis: Bold as Love, the second Experience album, was released merely six months after their debut lp, at the end of 1967. Many of the album's songs were composed with complex studio recording techniques in mind and as a result were rarely performed live. 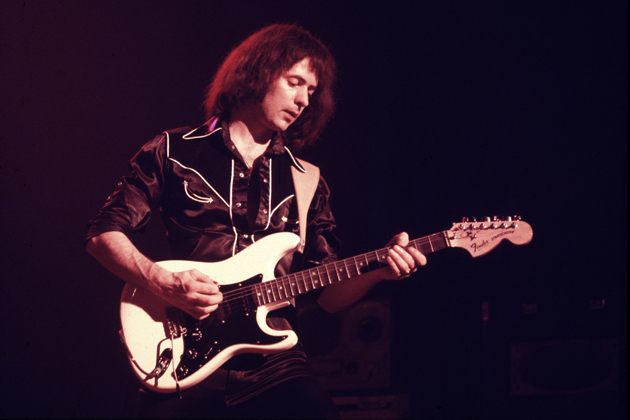 Only "Spanish Castle Magic" and every-guitar-player's-ultimate-study-material "Little Wing" became staples during concerts. Artists who covered songs off this album range from Brian May, John Mayer, Joan Osborne, The Pretenders unto the New York Rock & Roll Ensemble. Electric Ladyland is the third and final album by the Jimi Hendrix Experience, released in 1968 on Reprise Records. 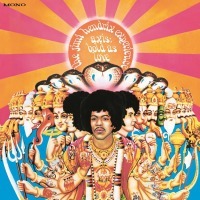 Produced and mainly written by Jimi Hendrix, the album is seen as the peak of Hendrix's mastery of the electric guitar. The album is a cross-section of Hendrix's wide range of musical talent. 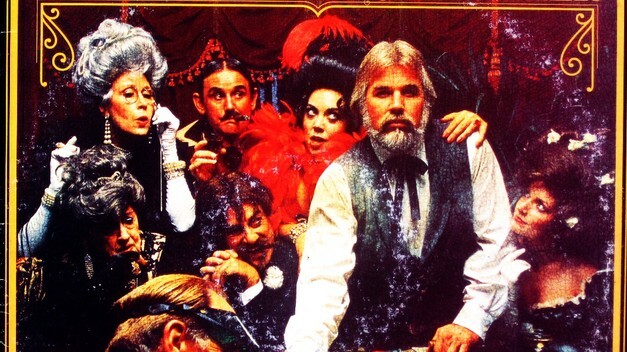 It includes samples of several genres, including the psychedelia of "Burning Of The Midnight Lamp", the extended blues jam "Voodoo Chile", the New Orleans-style rock and roll of "Come On", the epic studio production of "1983... (A Merman I Should Turn to Be)", and the social commentary of "House Burning Down". The album also features a cover version of Bob Dylan's "All Along The Watchtower" that has been praised by many, including Dylan himself. The Jimi Hendrix Experience disbanded after three albums, but Jimi quickly formed a new band with bassist Billy Cox and his drummer friend Buddy Miles; the Band Of Gypsys. Musically the Band of Gypsys leaned more towards Jimi's funk/R&B roots than the psychedelic rock sound of the Experience. The Band Of Gypsys made their live debut at the Fillmore East on New Year's Eve, 1969, for a series of four shows spread over two nights. 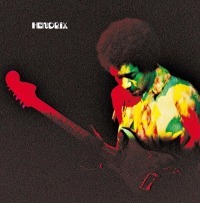 A compilation of these shows saw the light as the eponymous live album Band of Gypsys. Containing definitive versions of "Machine Gun" and "Who Knows"! Very often, at the beginning of a show, Jimi Hendrix would ask his audience to 'forget about what happened yesterday or today and start their own world right here'. For this special new edition of the 1971 live album Music On Vinyl asks you to do the same. 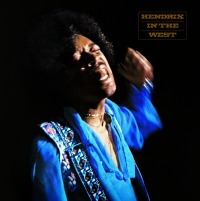 In The West consists of live recordings from the two incarnations of The Jimi Hendrix Experience, including his legendary Isle Of Wight Festival performance in 1970, where he created a live medley of "God Save The Queen" and "Sgt. Pepper's Lonely Hearts Club Band" with a stunned Paul McCartney in the audience. 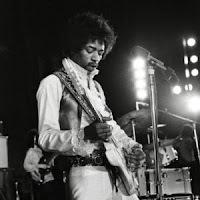 To Jimi, concerts were snapshots of where the band was at that moment in time, and Electric Ladyland director of engineering Eddie Kramer (and producer of most of Jimi's posthumous live albums) must have realized that this was when The Experience was at its peak. 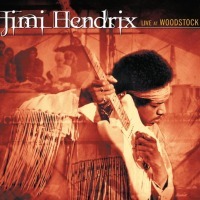 In The West was the first live album to be released after Jimi's untimely death. Forty years later, Music On Vinyl is re-releasing it with a number of beautiful extra's: three bonus tracks that have never been released before, along with a booklet of unpublished photographs by Jim Marshall, who was also responsible for the iconic cover artwork. 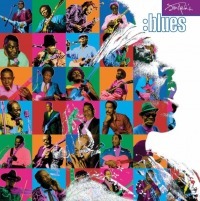 Originally released in 1994, the Jimi Hendrix Blues album features 11 blues performances recorded by Jimi between 1966 and 1970 showcasing the guitarist's mastery of the 12-bar form. This double-LP audiophile edition of Blues is arguably the best packaged, richest sounding, most coherent post-mortem release from the Hendrix archives. 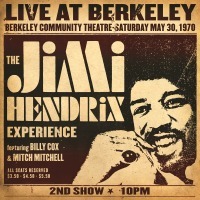 Framed by his 1967 acoustic 12-string rendition of "Hear My Train 'A Comin'" and a 1970 Trio performance of the same song, these 11 rough and ready tracks illustrate Hendrix's deep spiritual connections to his blues roots and his daring experimental take on the shape of future blues to come. And they've never sounded so vital, necessary or dynamic! This 2LP version will forever stand as the definitive-sounding, high-performance edition of this historic collection. 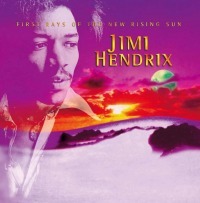 First Rays of the New Rising Sun, released in 1997, is an attempt to recreate the album Jimi Hendrix was working on at the time of his death in 1970, as close as is feasible to how he would have wanted it (based on recordings and notes he made during the last months of his life). 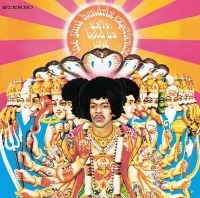 Tracks for this album ranged from finished to skeletal at the time of Hendrix's death. Much of the material had been recorded over the summer of 1970 at Jimi's just-completed Electric Lady Studios in New York City. First Rays was the first of a series posthumous albums with hiqh-quality sought-after rarities and other previously unreleased music, released by the Jimi Hendrix Estate. Incl. 8-page full-colour booklet (12"x 12")!! A stunning collection of 15 recordings, South Saturn Delta offers a unique insight into the creative process that Jimi Hendrix undertook while crafting many of his most beloved recordings. This compilation assembles recordings from throughout Jimi Hendrix's career including both incarnations of The Experience, Woodstock's Gypsy Sun And Rainbows and the Band Of Gypsys. The album features early renditions and alternate takes of the classics "Little Wing", "Pali Gap", "All Along The Watchtower" plus previously unheard recordings such as "South Saturn Delta" and "Message To The Universe". This album hasn't been available on vinyl for a long time but once again Music On Vinyl comes to the rescue! The double album features an 8 page booklet and comes in a beautiful gatefold sleeve. Words fall short when trying to describe this record. Listen to Jimi's version of the American Anthem and you'll be in the zone, man! Although much of the performance has been bootlegged to within an inch of its life, it wasn't until 2003 that the second show of the evening was officially released. 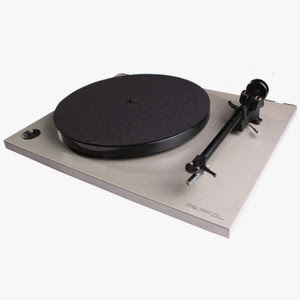 Mainly because it has remained in high demand, Music On Vinyl decided to re-release the album on 180 gram audiophile vinyl. 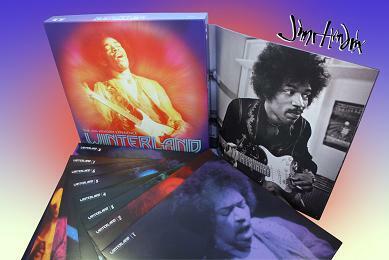 This beautiful Hendrix album will be released in a gatefold sleeve with an 8 page booklet. 12 previously unreleased studio recordings. Over 60 minutes of unheard Jimi Hendrix! 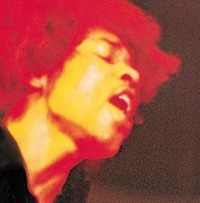 Ten recordings were made between February and May 1969 as the Jimi Hendrix Experience set out to create their sequel to the groundbreaking 1968 Double LP Electric Ladyland. 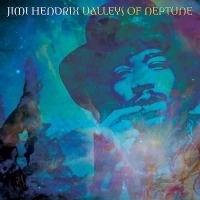 The album features the song "Valleys of Neptune", one of the most sought after of all of Hendrix's commercially unavailable recordings. 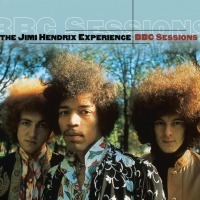 Includes exciting 1969 arrangements of classic Hendrix signature songs "Red House", "Fire" and "Stone Free". During an Indian Summer in 1968, Jimi Hendrix and his original Experience had a long weekend at San Francisco's biggest psychedelic ballroom: The Winterland. 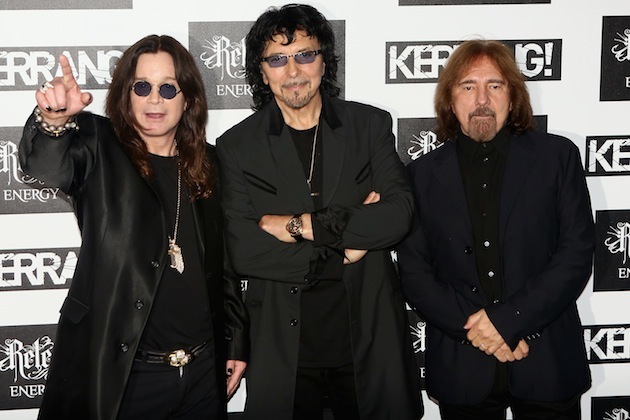 Each night they played two shows at the sold-out venue. 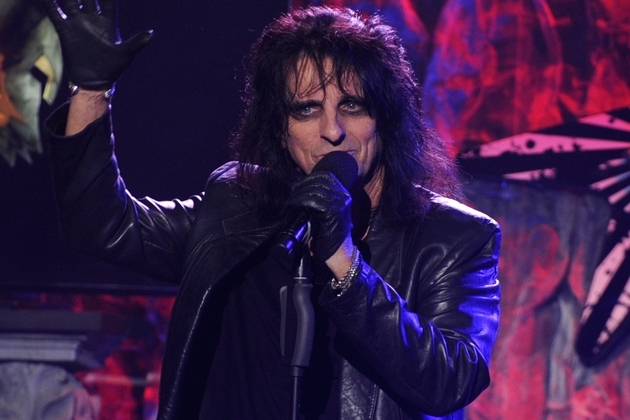 Each show they blew the audience away – along with a couple of amps. The Experience were at the pinnacle of creativity and on the verge of releasing their third album Electric Ladyland, and so they unleashed a great number of their new songs onto their audiences. And although each show was recorded the tapes were shelved for almost twenty years before being released unto the world at large. Now, the 1987 release has been expanded from two to eight LPs, featuring never before released music from each of the six unforgettable Winterland performances and a 19-minute backstage interview held a month after the legendary shows. 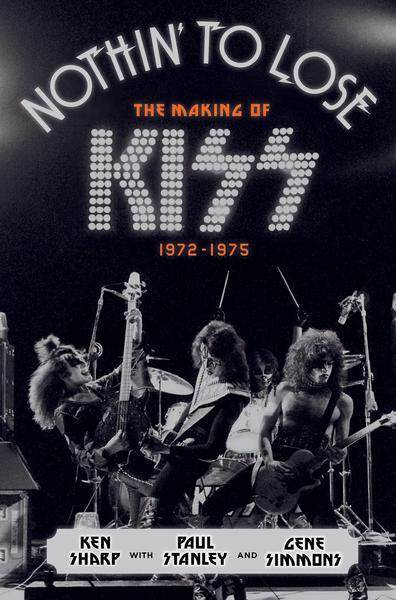 Included in the box is a 24 page booklet with never before published photos from the Winterland and liner notes by David Fricke, senior editor at Rolling Stone. 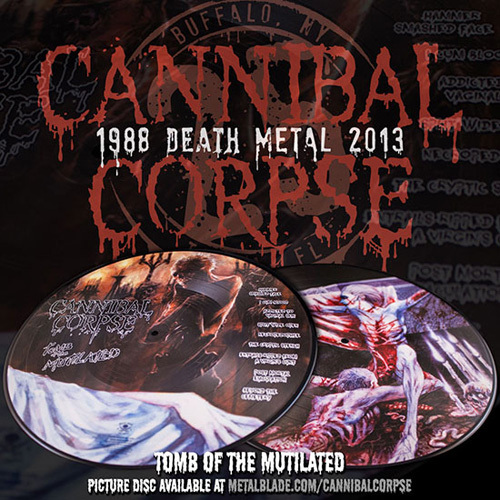 Limited and numbered to only 1,000 copies! 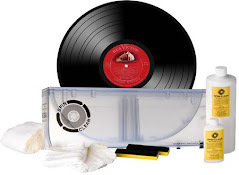 Has the vinyl revival gone too far?